One of the things that can make leasing difficult to get a grip on as a casual car buyer is the complicated vocabulary used in leasing contracts and negotiations. Luckily, much of the language is just a leasing-specific way to refer to common concepts that most people are already familiar with. 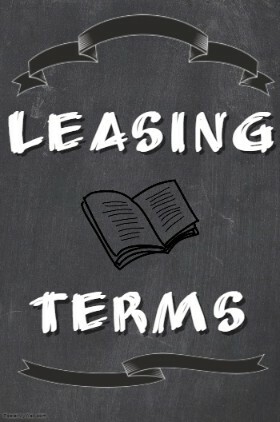 This section of the guide serves as a little dictionary, going over the common words that are used when it comes to leasing and explaining what they mean in everyday language. Armed with this knowledge, you should have no trouble decoding all of the important information you need about your lease. This is the price of the car before discounts, savings, rebates and other adjustments are applied. Also known as the car’s sticker price or list price, it is often the starting point for negotiations between the buyer and the dealership. In leasing, unlike in the case of financing or purchasing the car, the MSRP of the car being leased actually plays an important role. The residual value - how much the car is expected to be worth at the end of the lease - is expressed as a percentage of the MSRP of the car. That means that discounts off of the MSRP tend to reduce your monthly payment by a larger amount in a lease than in a similar finance. Capitalized cost, also referred to as just cap cost, is a term used occasionally when describing auto financing, but is most often used when it comes to leasing. Simply put, the capitalized cost is the amount of money that you are borrowing from the bank or the leasing company. Capitalized cost comes in two forms - gross capitalized cost and net capitalized cost. The gross capitalized cost is simply the price that you negotiate with the dealer for the car you are leasing. 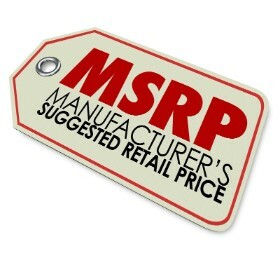 Depending on the specific car that you are leasing, it could be significantly lower than MSRP. The gross capitalized cost has little effect on the rest of the lease, other than to show you the final sale price of your vehicle and to allow you to calculate the net capitalized cost. The net capitalized cost is how much money the leasing company needs to send the dealership in order to purchase the vehicle you are going to be leasing. It is calculated by taking the gross capitalized cost, adding all of the initial taxes and fees that are going to be rolled into the lease and subtracting your down payment and the value of your trade-in, as well as any rebates or cash-back offers that you qualify for. This is the value that is then used to calculate your monthly lease payments, together with the finance charges that you are paying. Capitalized Cost Reduction, or cap cost reduction for short, is one of the terms that is very straightforward but is wrapped up in confusing leasing terminology. In the general sense of the word, cap cost reduction is anything that decreases your gross capitalized cost. That includes rebates, trade-in credits or other things that can cause your net capitalized cost to be lower. However, in most cases, it is used to refer to the additional money that you pay up front at the start of the lease in order to decrease your monthly payment. In other words, it is the lease-specific word for a down payment. Residual value is one of the most important concepts to understand when it comes to leasing a car. The residual value is the value that the car is expected to have at the end of the lease, assuming it is within the mileage limit and in good condition. Because you are only making payments on the depreciation of the car - the difference between the initial sale price and the residual value - a higher residual value on a car usually translates to a lower monthly payment for you. Residual value can be different depending on the car’s make, model and trim level, as well as the mileage allowance selected at the start of the lease. Lower annual mileage means a higher residual value, while a higher than average mileage allowance reduces the residual value. The residual value of a vehicle can be expressed as either a percentage of the car’s MSRP, or as the specific dollar amount. Should you choose to buy your car at the end of the lease, the residual value also serves as the sale price at which you can purchase your car. The money factor is the lease equivalent of the interest rate, though it is used in a slightly different way to calculate the finance charges on your lease. The money factor is usually expressed as a small decimal, such as 0.00240. You can get a sense of how that translates into an interest rate by multiplying that decimal by 2400, so that the money factor in the above example translates to approximately 5.76% interest rate. That is just a rough comparison however, as the money factor plays a different role in the lease payment calculation than the interest rate does in the finance calculations. Another difference that not many people know about is that the money factor applies not only to the net capitalized cost, but also to the residual value as well. That is to say, you are paying interest not only on the depreciation of the car that you are making payments on, but also on the price of the car that you will eventually give back to the dealer. The money factor represents the idea that money now is worth more than money later. Since the leasing company will not see the proceeds of auctioning off your car until the end of your lease, that money is also subject to finance charges. This makes more sense when you see how the money factor is used to calculate lease payments later on in this section of the guide. The length of term is simply how long the lease will last. While leases can last anywhere from a year all the way out to six or more years, the most common consumer leases today are between two and four years, with the average falling around 36 months. The lease term starts when you first drive the car off of the lot, and when it ends you have to take the car back to return it to the dealership. The cost of your lease, just like in the case of financing, is spread out over the term of the lease. There are several things to keep in mind when selecting the length of term for your lease. First is that you are expected to finish out your lease, and getting out of a lease early can be difficult, so a long lease term can leave you less flexible and able to respond to changing situations. Another thing to consider is that, unlike in the case of financing, increasing the term will not necessarily mean lower payments. With a longer length of term, the residual value of the car will be lower, so you may end up with a higher payment even if it is spread over more months. Finally, finance charges are applied to your lease every month, so in a longer lease, a larger portion of your payment is going to interest payments. While this may be only a minor consideration for most buyers, if you are looking to maximize value, a shorter lease may be a smart choice as well. A security deposit is a common term when leasing an apartment or a house, but it is less familiar when it comes to car purchases. It works the same way in both contexts. In a lease, it is usually either a flat amount or equal to one month’s payment. If after you return the car, there is damage beyond the usual wear and tear, or there is excess mileage on the vehicle, those charges will be first deducted from your security deposit and only if they exceed that do you get a bill. On the other hand, if the reconditioning and over-mileage costs are less than your security deposit, you get the difference refunded to you. And, of course, if you’ve taken good care of your car, you will get the deposit back in full. There are several interesting options involving the security deposit that may be available depending on the leasing company that is servicing your lease. Some leasing companies may have the option to waive the security deposit entirely, either in exchange for a slightly higher money factor or as a favor to the dealership selling you the car, making this a good negotiating point. It is also possible, with some leasing companies, to do the reverse. If you are willing to commit a larger security deposit - such as two or three monthly payments - then the money factor will be lower, as the leasing company is taking less of a risk with the vehicle. Depending on your specific financial needs, either of the two options can be advantageous. The acquisition fee is a one-time fee charged by the leasing company at the start of the lease. It effectively represents the cost for the leasing company to enter into a lease. It is also sometimes known as a bank fee, and you can either choose to pay it up front or roll it into your monthly payments. Pretty much all leasing companies charge an acquisition fee, and it generally falls somewhere between $500 and $1000. The opposite of the acquisition fee, the disposition fee is charged by some leasing companies at the end of the lease. It is usually only $200-$300, and it is only assessed if you choose to simply return your car to the dealership at the end of the lease. 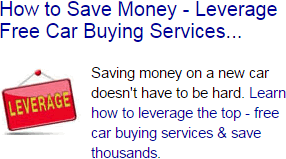 It is meant to cover the leasing company’s costs in re-selling the car. If you choose to buy out your lease or trade the car in to a dealer due to its high market value, then you will not be charged a disposition fee. Some leasing companies can also waive their disposition fees as part of the initial lease negotiation or just don’t charge them at all. The payoff amount is the amount of money that you owe on the lease at a particular point in time. That usually includes both the remaining payments you have yet to make on your lease, as well as the residual value set out at the start of the lease. This is the amount you have to pay should you choose to end your lease early, whether as a result of trading in the car for a different one, buying out the lease, or having the leased car totalled in an accident. The leasing company may also add additional early termination fees on top of this amount as well. In most cases, terminating a lease early is a bad idea, and the payoff amount will be significantly higher than the market price of your car. Guaranteed Asset Protection insurance, also simply called gap insurance, is meant to cover the gap between your car’s market value and the remaining balance owed on the lease. If something happens to your car, such as an accident where it is declared a total loss, you owe the leasing company the sum of your remaining lease payments plus the residual value of the car. In most cases, that will be more than your insurance company will pay out to you. In that case, gap insurance will step in and cover the difference. Many leases include gap insurance or a gap waiver in the contract itself, but if your lease does not include gap coverage, you can also get it from your insurance company, usually for as little as a couple of dollars a month. 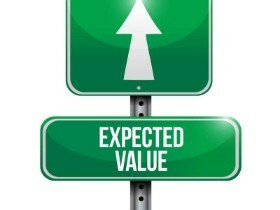 Because it is so inexpensive, it is usually a good choice, and may even already be included in your insurance policy. Without gap insurance, you may find yourself owing several thousand dollars to the leasing company on top of the stress associated with being in an auto accident.